Everything is possible, everything matches, everything is compatible. 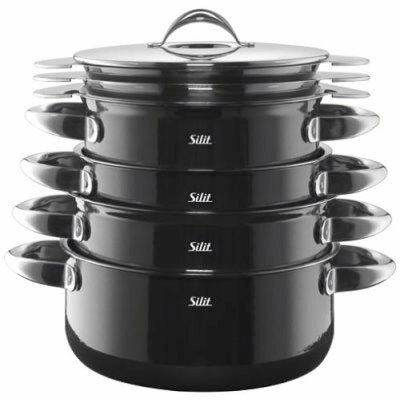 There are three multifunction lids to match all the three types & sizes of pots. 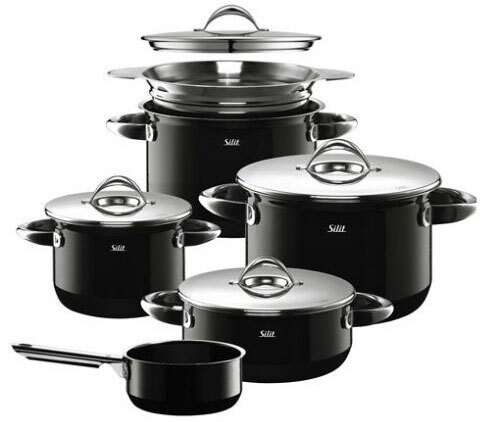 Each lid can also be combined with other elements of the system – cook’n serve bowls, casseroles, inserts and sauté pan. the lids can be rested on the sides of the pots, even with accessories in place, for easy stirring. Condense liquid stays in the lid and doesn’t drip onto the stove. Due to the success of the ‘Hanging Lid’, Silit incorporated this innovation into two other cookware sets designed by Teams Design. Also click Trend Setting to see how others were inspired by our innovation.